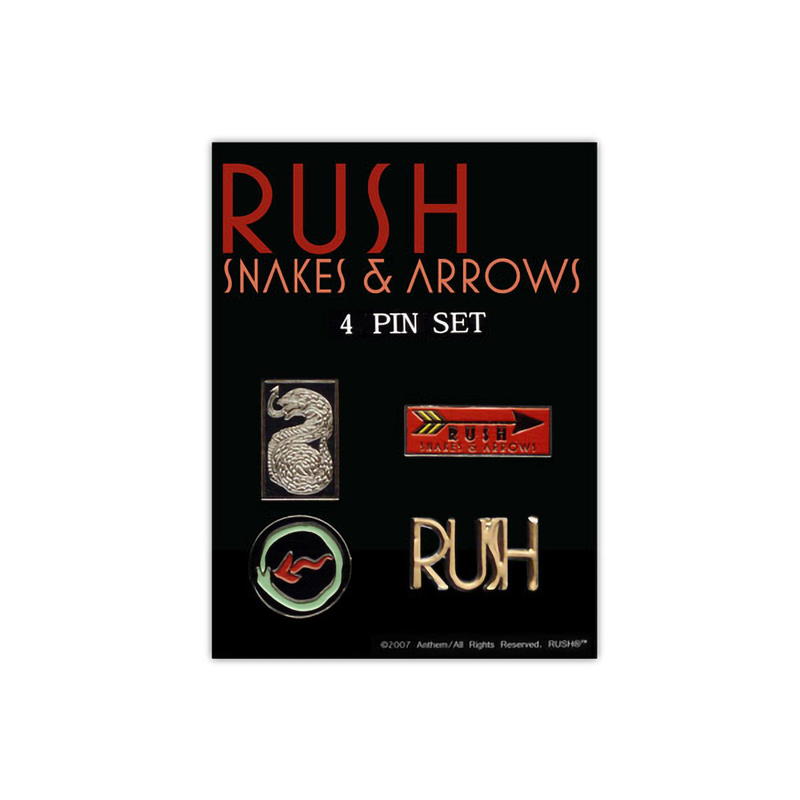 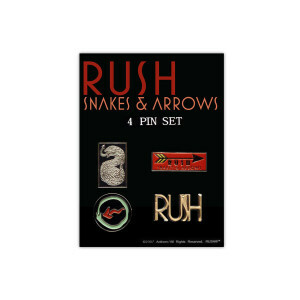 This is the new Snakes & Arrows pin set. Four pins, all custom made for the new world tour. 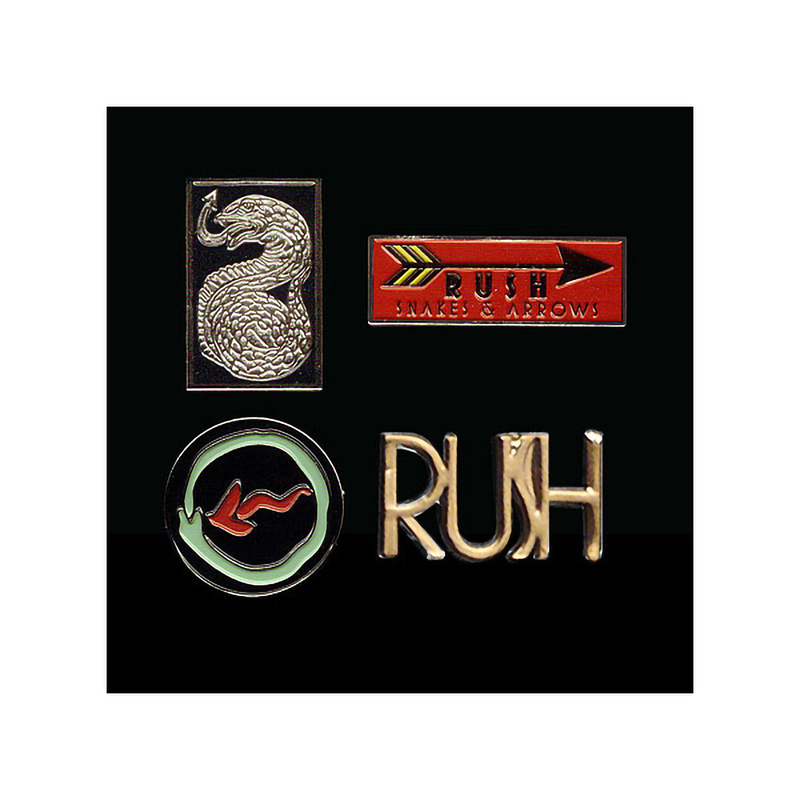 These all have butterfly clasps on the back, and are approximately 1"-2" wide in size.